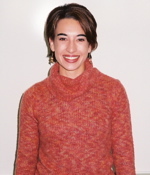 Jane Walsh graduated from the Policy Center in 2005 with a concentration in Conflict Resolution and Peace Studies. She then began studies toward a Ph.D. in sociology and Latin American Studies at the University of Pittsburgh. "The Policy Center helped to develop my interest in social movements and social change. It gave me the tools and support necessary to design and carry out my thesis research. These skills have helped me to gain entrance into a Ph.D. program in sociology, where I plan to expand on my thesis research."